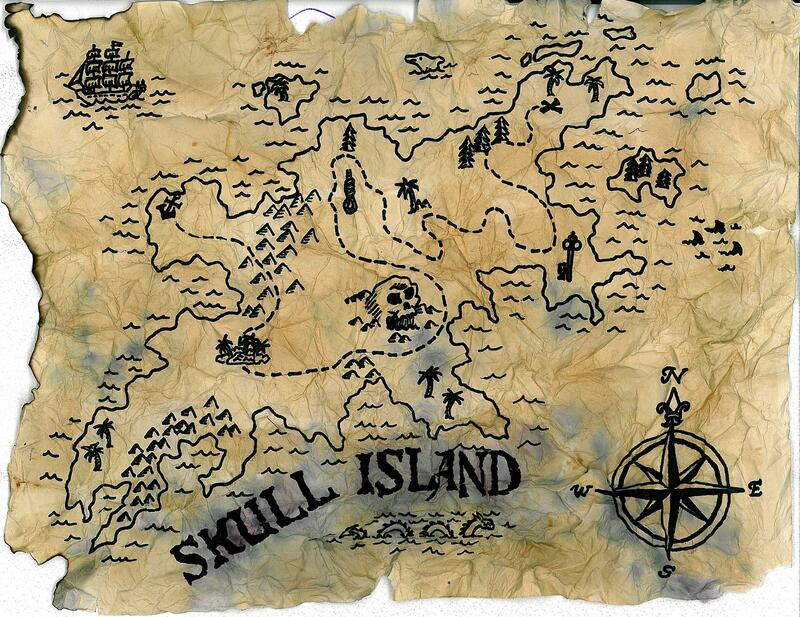 When I was younger, I’d draw treasure maps in primary colors, waxed on with crayon. The path snaked through jungles, deserts, and mountains until it ended on a thick red X marking the treasure. Dangers dotted the path: bandits brandishing scimitars over their smiles, witches hunched over cauldrons. Be there trolls? I’d scrawl across hills, with a trio of towering beasts holding rocks over their heads. The maps always began at home, a square white house with red shutters. And in the end, you returned there. The quest was an interlude, looped around the paper, and closing again at its beginning, regrounded. Something about journeys has always fascinated me. One day, a mysterious traveler knocks on your door—like Gandalf in The Hobbit—or a fabled map shows up from some lost corner—like in King Kong—and you’re off. There’s something archetypical and primordial about them. Abraham left his home in Ur, plodded through desert, drifted through towns, and found a new home in Canaan—peopling a trio of religions. Jim Hawkins found treasure on a mysterious island. Odysseus spent ten years plying the sea. In many native cultures, a young man leaves home and wanders the woods on a spirit quest, fasting and meditating, returning with the treasure of manhood. At some point we set out. Sometimes we come back. In his final, unfinished novel, The First Man, French writer Albert Camus recounts his childhood. While in the third person, much of it is memoir. He said it was the start of a larger trilogy of works about love, but a car wreck killed him in 1960 shortly after he started it, leaving us with a fragment. For Camus, childhood was his home, a love so deep and grounded that “he never recovered” from it. I think it is for many. Our sense of self is soft and malleable then—something in the broad, sunny sky sinking in and shaping it, cradling it. It’s like a second womb. But as we grow, we call ourselves individuals, and get restless. We want to cross the horizon and go searching for the treasure of our own self. We long for a journey. So we leave—by our own choice or the force of the world. The sky of our childhood can’t hold us forever. Some years later on, we may try to return, but we can’t. At some point, we’ve crossed a boarder, a line between childhood and adulthood. Back in our old places—childhood homes, family gatherings, rusted and repainted playgrounds—we find echoes of old rhythms and teases of old tastes. They may heal us, refresh us, but they never sustain us. We’ve outgrown the reach of their arms. As Camus said about a similar experience when he returned to Tipasa, “It is certainly a great folly, and one that is almost always punished, to go back to the places of one’s youth.” Likewise, when I read my old journals, written with crooked print and fumbling cursive, and look at my blond hair in photographs, I feel as if I’m looking at a stranger. Rather than a simple space of white siding and red shutters that I’d draw on my treasure maps, I think, “home” is a sense of stability and belonging. For some, a physical place suffices. For others, it may be a certain lifestyle, a texture to the sky, a rhythm to the hours that feels comfortable again. For me, it was childhood. And I’ve grown up. Thus, I feel like how Camus described when he went back to Tipasa in his forties: “once you have had the chance to love intensely, your life is spent in search of the same light and ardor [. . .] It is a time of exile, dry lives, dead souls. To come back to life, we need a grace, a homeland, or to forget ourselves.” After we’re done being a child, our search for home begins, rooted in the memories that grounded us before we set off and found ourselves in a strange land. But as we search, we’re in exile. So, I look back over my footprints in the soft soil. They lead out, looking for treasure, then loop back home. I’m standing where they meet, in the white house with red shutters, holding the treasure—some heavy, abstracted feeling of adulthood—and I know I need to go out again. But I can’t yet. Somewhere deep, memories pool together. I know my next map is there, tangled in those images. So I set out again by going backwards. This brought out some long closeted feelings. Wonderfull piece. Thank you very much. It brought out a lot of feelings for me, too. Have a nice day and thanks for stopping by. That “depaysment” hit me when I had to sell my mother’s house—the house I had grown up in. It was a creepy feeling. I still can’t drive by that street when I go back. It feels like the foundation has fallen out from underneath you. Thanks! And great description. I feel like landscapes and spaces have a particularly strong tendency for depaysment. I feel similarly by this old tree I used to sit under, but has since fallen down, leaving just the ragged stump. It’s like a literal part of you has been taken.